In the midst of double trouble, she encounters Eon, a regal young man unlike anyone she’s ever met. But Jenna cannot stay in Eon’s magical world for long—she’ll die. And Eon cannot stay in Jenna’s ordinary mortal world—he’s a god. They can only meet for a measured time through the Gateway Tree. When Jenna discovers that Becker Construction plans to destroy the Arbor and build an office-condo complex on the site, she becomes the leader of an environmentalist movement to save the Arbor. But Becker Construction will stop at nothing and Jenna is swept up in a struggle in which her love for Eon and her very life are at stake. 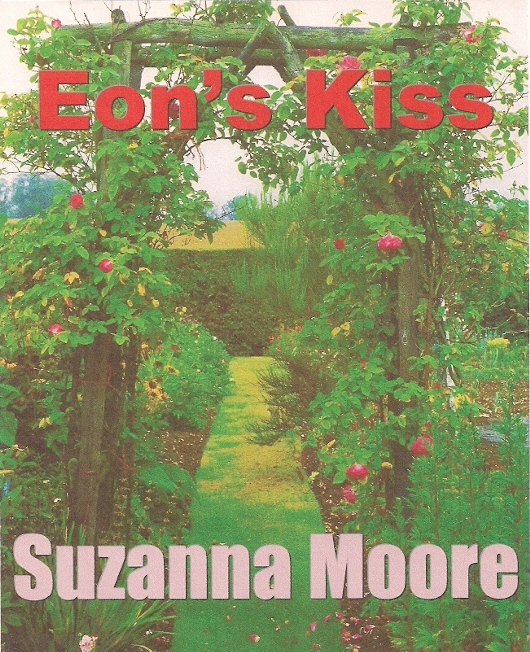 Suzanna Moore is planning two more books, Eon's Embrace (Book 2 of the Eon Trilogy) and Eon's Love (Book 3 of the Eon Trilogy). Eon's Kiss (Book 1 of the Eon Trilogy) is on US Kindle, Canada Kindle, UK Kindle, Australia Kindle, and BarnesandNoble. Eon's Kiss (Book 1 of the Eon Trilogy) is also on Amazon.com in Brazil, France, Germany, India, Italy, Japan, Mexico, Spain, and Netherlands.